Author, PATRICIA FRIEDBERG has been selected to read her favorite poem at this year’s Community Favorite Poem Reading on Saturday, May 4th. "THE FAN". You might have guessed it if you've read "21 ALDGATE", inspired by her mother pictured here. 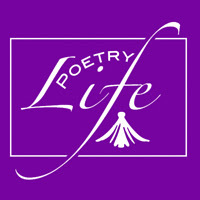 CLARA taught all"...THE LESSON OF THE FAN"
PoetryLife Weekend will provide memorable experiences to learn, love and live poetry. Made possible with the support of Book Store 1, FST and the Gulf Coast Community Foundation, the events will bring together the poets and readers of our community to share their words and perspectives under the guidance of the much-lauded poet Naomi Shihab Nye and former U.S. poet laureate and two-time Pulitzer-winner W.S. Merwin.